Tulane University School of Law, J.D. David is a shareholder in the firm's Business Group. Known for helping his clients find practical and timely solutions, David is a leading corporate transactional attorney. 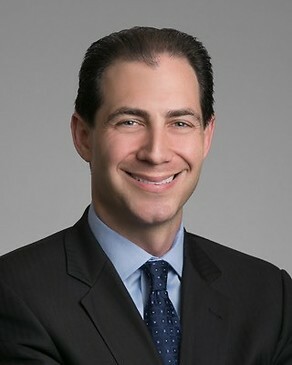 His clients include both private and public middle-market companies. David represents buyers and sellers of stock and business assets and borrowers and lenders in commercial finance transactions. Based in Houston, Texas, David has significant experience in the energy, real estate, manufacturing and financial services industries. David regularly advises management teams, in-house general counsel, boards of directors and investors in the development and execution of their corporate strategies. He also frequently speaks to professional groups about structuring or negotiating a business sale or acquisition. David's goal is to approach each client relationship with a view to maintaining trust and promoting project efficiency. He understands that lasting relationships are built one phone call at a time. David is married to his wife, Lindsey, and they have three sons, Jacob, Daniel and Benjamin. Represented sellers of pipeline land survey company ($31 million). Represented seller of professional employer organization operating in 42 states. Represented sellers of a leading direct sales company within the commercial sectional doors and docking products industries in the U.S. and Mexico (sales price undisclosed). Represented company in sale of project engineering firm (sales price undisclosed). Represented sellers of broad line food distribution company (sales price undisclosed). Represented sellers of well testing business in South America ($70 million). Currently serves as "outside general counsel" to professional employer organization and affiliated insurance and finance businesses (includes roll up acquisitions of several competitors). Represented large, publicly-owned, seismic survey company in $105 million acquisition of competitor. Represented buyer in $55 million acquisition of an oil and gas equipment supplier. Assisted ice cream producer in corporate reorganization ($18 million in approximate savings to client). Assisted in a management buyout of large shipping and platform design firm ($15 million acquisition). Represented buyer of several concrete asphalt production facilities (totaling $9 million). Assisted in the representation of purchaser in $6 million acquisition of chemical pump manufacturing plants and related real estate assets. Represented specialty pipe company in purchase and rehabilitation of cold pilger machine ($7 million) and in negotiation of senior credit facility ($15 million). Represented buyer of energy services company in Eagle Ford shale ($6 million). Represented buyer of bankrupt construction supply business with six Texas locations ($5 million). Represented sand and gravel production company in $5 million acquisition of competitor. Represented home electronics retailer in regional expansion and $3 million acquisition of business assets. Assisted seller in $3 million sale of assets of commercial insurance agency. Represented seller of food distribution business and underlying real estate ($112 million sale). Represented home builder in $2 million buy-out of outside investors. Provides continuous legal representation to management arm of an airport development and privatization group (includes handling employee matters, general corporate and Foreign Corrupt Practices Act program compliance). Assisted natural gas storage company in reorganization of corporate assets to limit liability exposure. Assisted in the representation of an issuer in public security offering ($554 million raised). Assisted in the representation of a hedge fund in $175 million private placement of securities. Represented issuer in $125 million equity offering and listing on the American Stock Exchange. Represented issuer of $110 million Senior Floating Rate Notes. Represented energy services company in public debt offering ($50 million). Represented retail real estate developer in various equity offerings, debt financings and mixed-use developments ($12 million in equity raised). Represented master franchisee of U.S. restaurant chain in Australia and New Zealand, including the raising of $10 million in debt and equity to fund operations. Negotiated loan documentation in the financing of construction loans for retail developer. Assisted developer of master-plan community in raising capital and partnership issues ($20 million in equity raised). Negotiated numerous commodity, financial derivatives (e.g., interest rate and foreign currency swaps) and gas marketing contracts on behalf of publicly-held oil and gas companies. Represented investor in structuring oil and gas exploration and production venture (initial funding valued in excess of $8 million). Represents retail shopping center developer in land acquisitions and property development ($25 million in the aggregate). Represented buyer of 7 story office tower in the Galleria area of Houston, Texas ($6 million). Represented natural gas storage operator in $18 million acquisition of 600 acres of land for underground storage operations. Represented tenants and franchisees in the lease of retail space and negotiation of franchise agreements. Represented seller of commercial property in College Station, Texas ($2 million).